Ultimaker 2 Extruder Gear Housing + 1.75mm & 3.00mm Conversion #3DPrinting #3DThursday « Adafruit Industries – Makers, hackers, artists, designers and engineers! Forest141 shared this project on Thingiverse! Recently I have been running into an issue while loading filament in my printer where it gets stuck on a part of the housing for the tension bearing and jams up the material, before even entering the bowden tube! So I decided to try and fix this. I took apart the original housing, remodeled it, and smoothed out the edges along the filaments path. As I was working on it I thought I might be able to modify it to be able to be tight enough to use 1.75mm and 3.00mm material. After a bit of work, I think I finally got it. (I’m still testing it as of 6/6/2018, but so far its looking good!). I also added a slot that allows you to see the material better when it is loaded into the machine so it can be watched more closely. 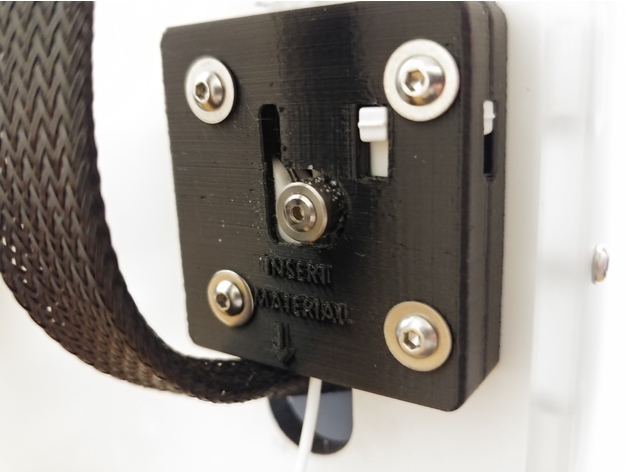 This part uses all the same hardware that is currently used by the Ultimaker 2 so there is nothing else you will need to buy. It is also assembled the same way as the original so its super easy to transfer the parts! I have only tested it on a Ultimaker 2 so I am not able to say if it will work on the 2+ series or the UMO, though if you print it out and it works on those then let me know!